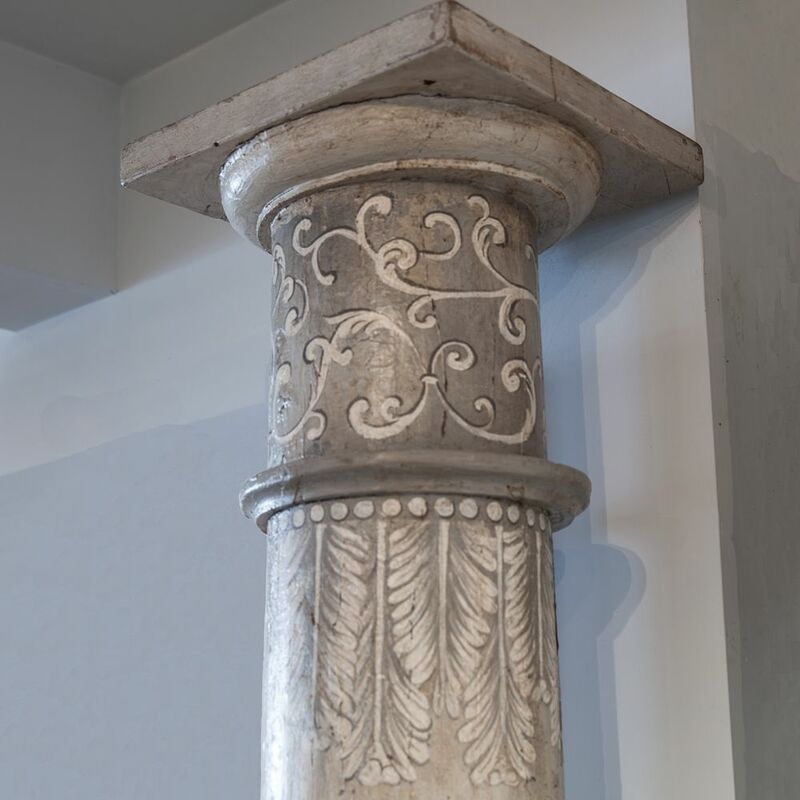 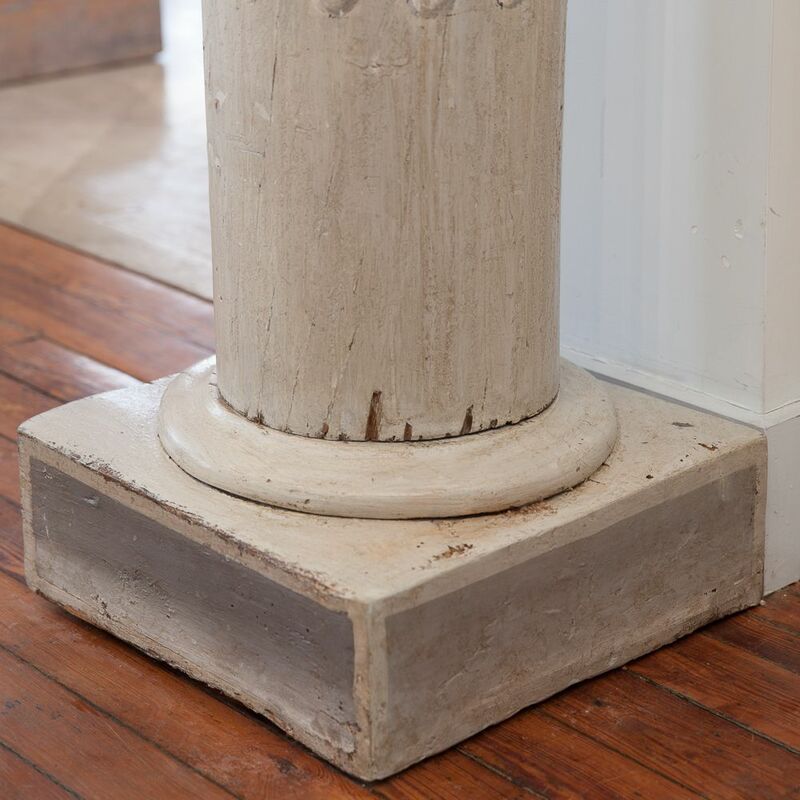 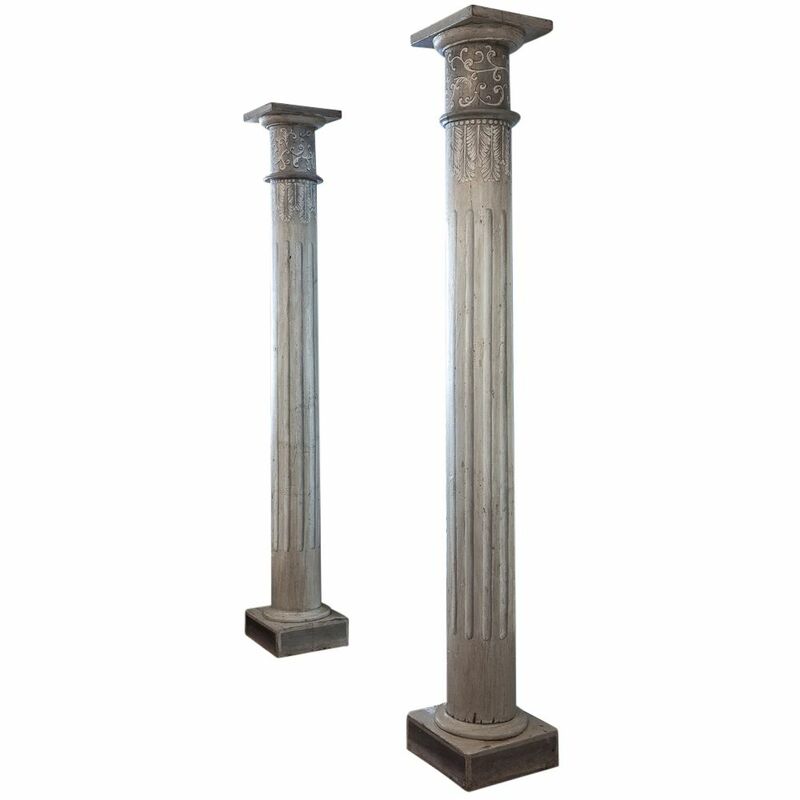 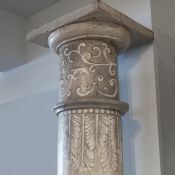 This unusual pair of columns with a square base are painted in contrasting shades of light and dark grey to give the impressions of carved indentations. 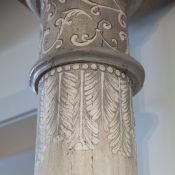 Their spectacular tops are painted with a feather and scroll motif to complete the effect. 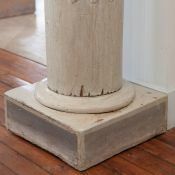 They are made of very heavy wood and could be used in an interior to frame an entrance or add dimension to a room.